Open House is an ongoing series of pop-up exhibitions presenting new work by emerging artists from 2nd, 3rd and 4th tier Chinese cities for one afternoon in a space that is for rent, sale or slated for demolition. There is no equivalent of the American concept Open House in Chinese, but the term Yangbanjian (样板间) conveys a similar feeling where real estate is on display for public consumption. Open House is designed to give people an opportunity to interact with contemporary art beyond the black and white box in a gallery or museum. ChART commissions artists to create a new project based on the Open House model and each project is on view for one Sunday afternoon between 2 p.m. - 6 p.m.
DALeast (b. 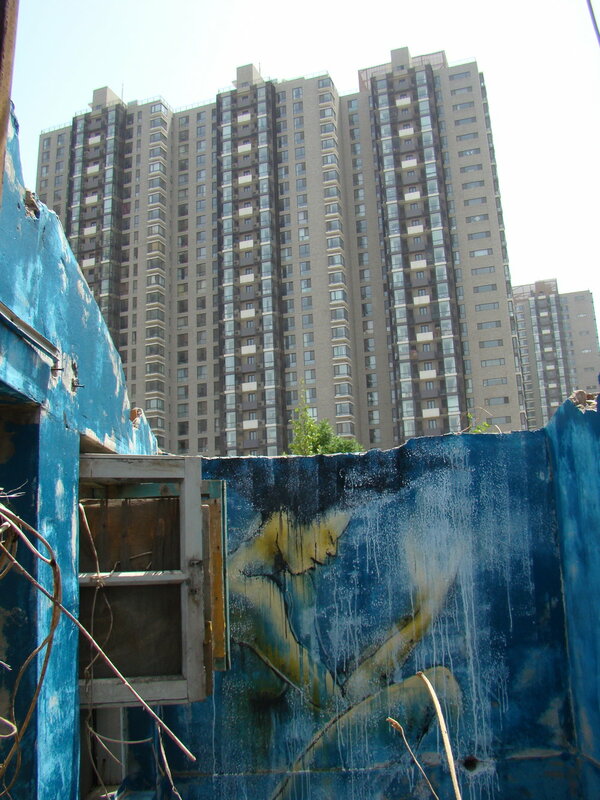 1984) is an emerging artist based in Wuhan and a founding member of Chirp--one of the earliest artist collectives in China to combine public art with graffiti. 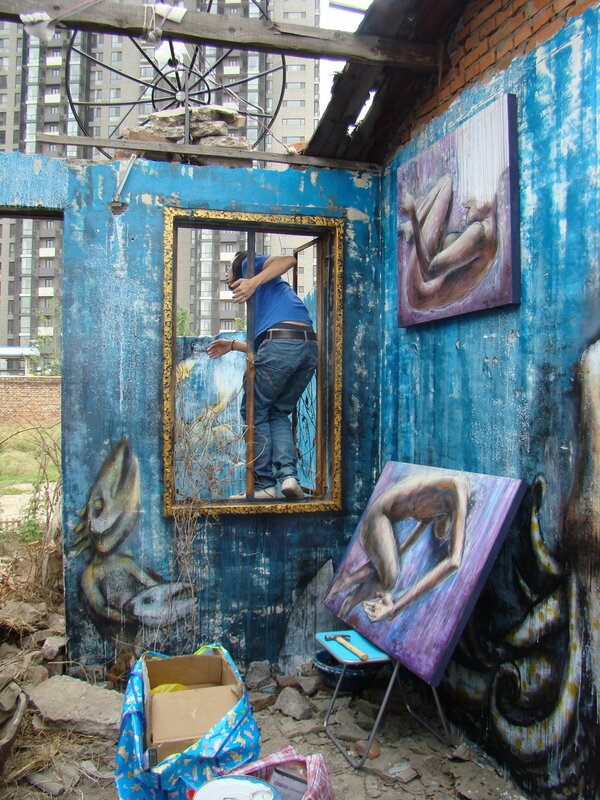 Since 2008, this young artist has expanded his practice combining painting with sound and video installation and in 2010 he joined the IDT crew, a graffiti collective based in Beijing. Open House: Royal Pond was his first solo exhibition. Royal Pond is a visual narrative created from sound and graffiti-inspired painting techniques. The fable illustrates the story of the “common people” and takes class struggle as a point of departure to reflect the erosion of the middle class and plight of the working class in modern China. Combining personal narrative with his observations of how working class families and “common people” live, DALeast draws us into an “underwater world” where reality is bleak for a mother and son who cannot escape their fate as they sink into the abyss.